Israeli ambassador Amrani pushes government to halt campaign targeting Jewish US billionaire George Soros, since it sparks anti-Semitism. Israel's ambassador in Budapest on Saturday called on Hungary to halt a nationwide poster campaign targeting US billionaire George Soros, which Jewish leaders say is stoking anti-Semitic feelings. The posters show a large picture of the Hungarian-born Jewish emigre laughing, alongside the text: "Let's not leave Soros the last laugh," a reference to government claims that the 86-year-old wants to force Hungary to allow in migrants. The campaign is the fourth media blitz by the government this year against Brussels or Soros for their alleged attacks on Hungary's hardline anti-immigration stance. "It's our moral responsibility to raise a voice and call on the relevant authorities to exert their power and put an end to this cycle," Yossi Amrani, Israel's envoy in Budapest said in a statement. "I call on those involved in the current billboard campaign and those responsible for it to reconsider the consequences." In response to the comments, Hungary's foreign ministry said it was protecting its citizens. Amrani's remarks follow a recent call by Hungary's largest Jewish organisation Mazsihisz to stop the campaign, saying it fuels anti-Semitic sentiment. "These poisonous messages harm the whole of Hungary," said Andras Heisler, Mazsihisz head, in a letter to Prime Minister Viktor Orban published Thursday. In a written reply to Heisler, Orban refused Friday to call off the campaign and said that his "duty is to defend our homeland and citizens" against illegal migration. He accused the "billionaire speculator" Soros of wanting to use his wealth and civil groups that he supports to "settle a million migrants" in Hungary and the European Union. "Illegal migration is clearly a national security question," Orban said, that will be dealt with "without regard to (anyone's) origin, religious background, or wealth." He also asked Hungary's 100,000-strong Jewish community to help him "fight against illegal migration" which he said "imports anti-Semitism" into Europe. 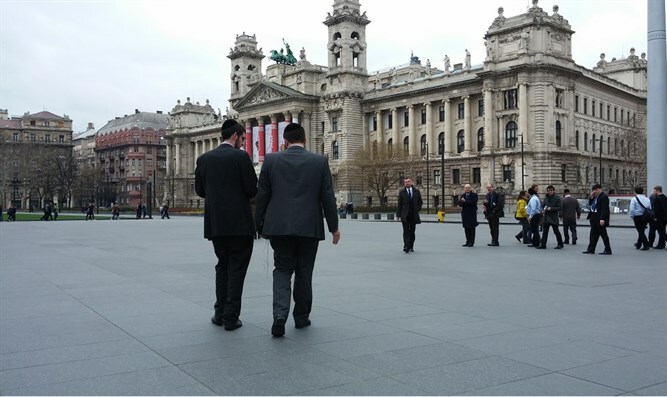 Government officials repeatedly say Hungary has a policy of "zero tolerance" of anti-Semitism. Israeli Prime Minister Binyamin Netanyahu is scheduled to visit Hungary on July 18. It will be the first time an Israeli prime minister visits Hungary since Hungary transitioned from communism in 1989.